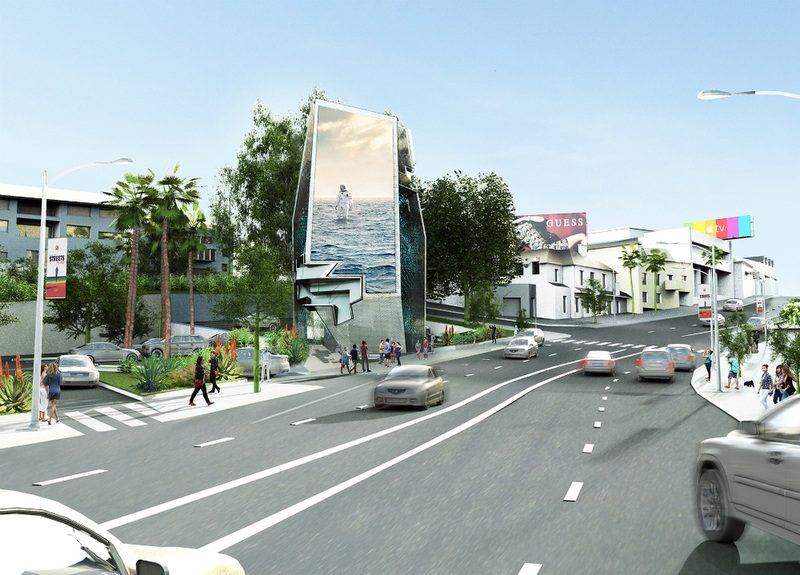 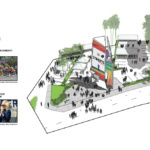 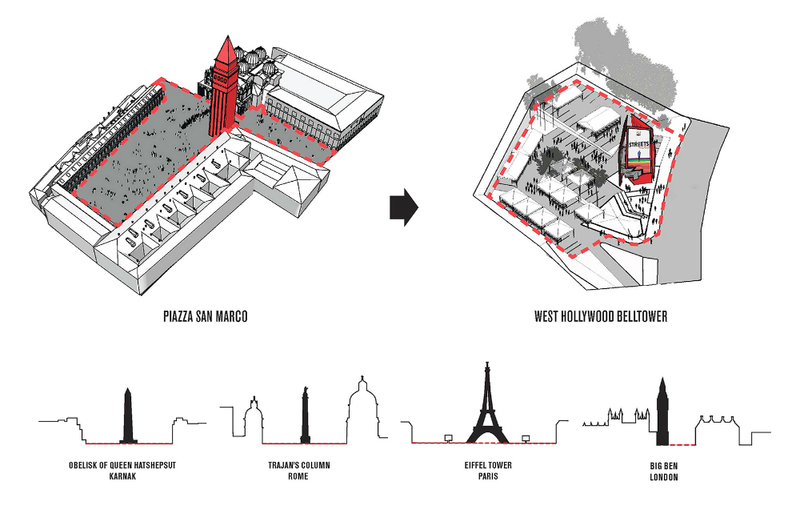 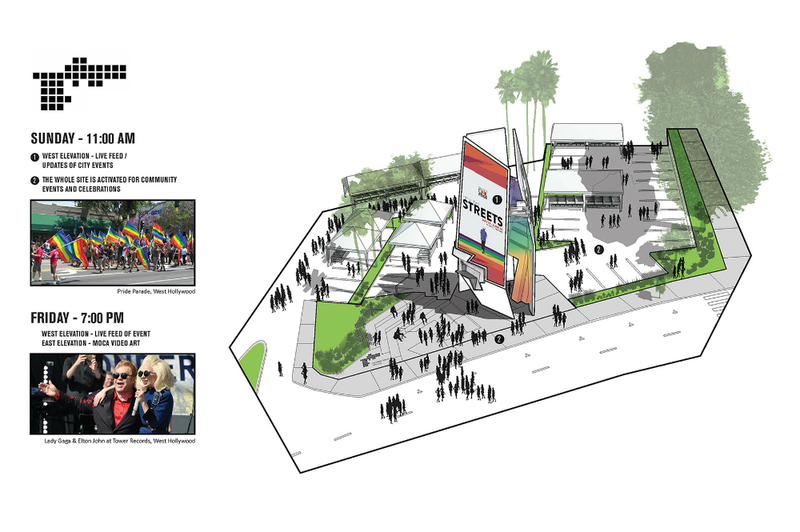 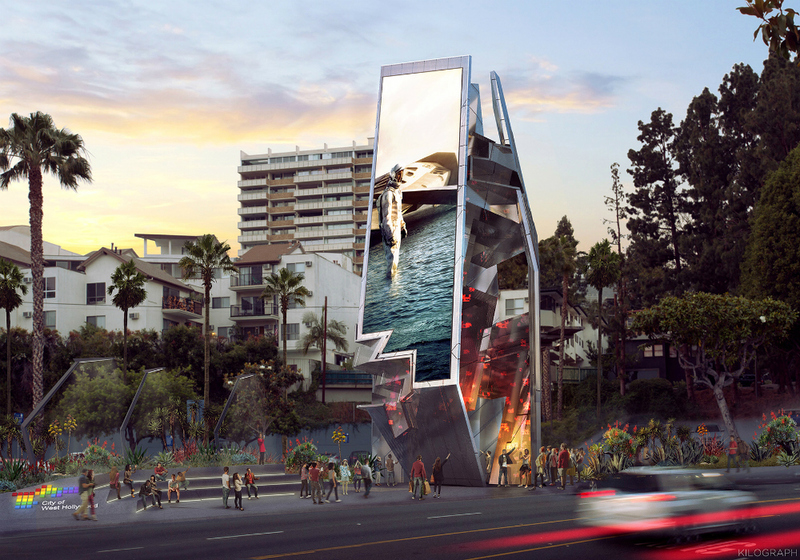 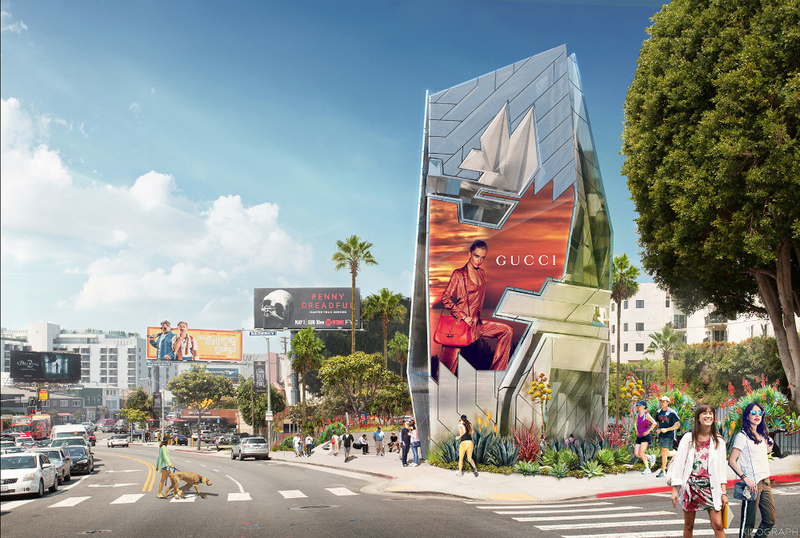 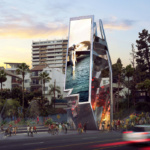 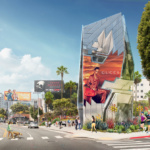 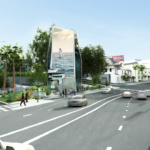 Tom Wiscombe Architecture (TWA) has been selected as the winner for The Sunset Strip Spectacular Pilot Creative Off-Site Advertising Sign Request for Proposals (RFP) competition for a site located at 8775 Sunset Boulevard in West Hollywood, California. 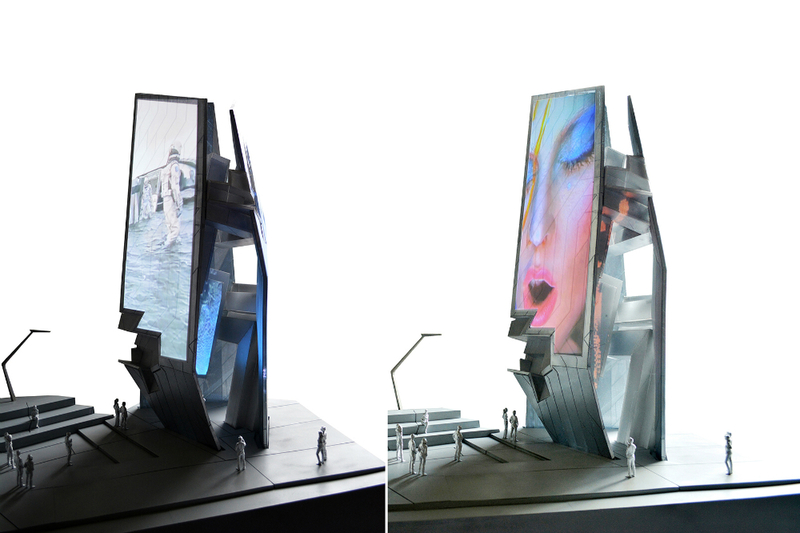 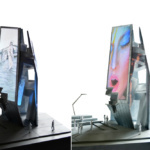 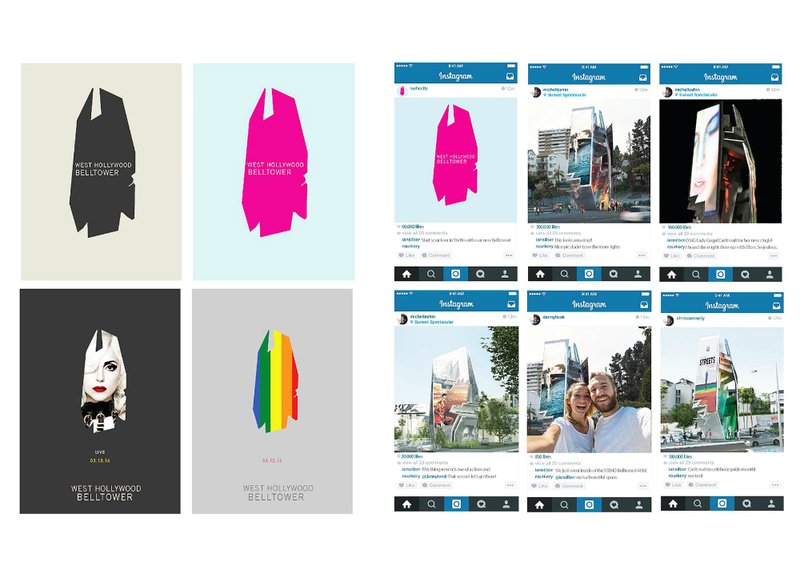 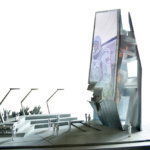 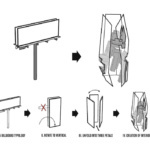 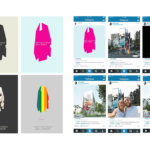 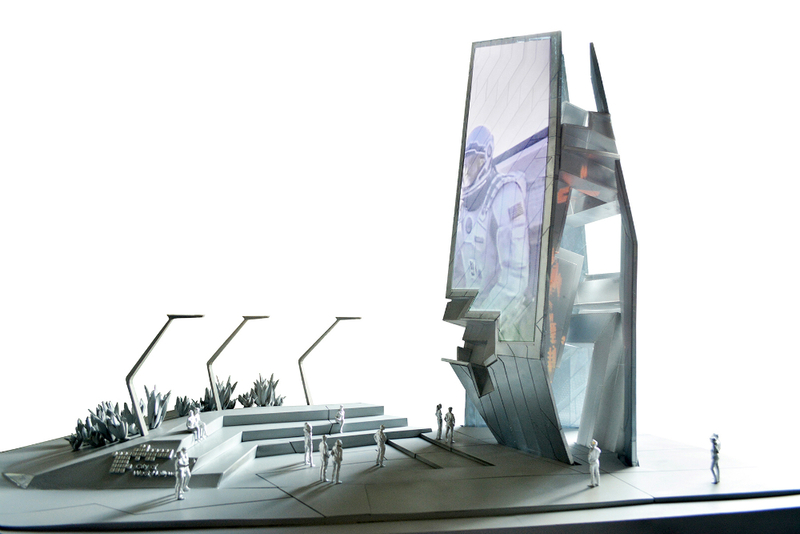 The firm’s proposal, a partnership with Orange Barrel Media and Los Angeles’s Museum of Contemporary Art (MoCA) beats out submissions by JCDecaux and Zaha Hadid Project Management Ltd.; Outfront Media, Gensler and the MAK Center; and Tait Towers Inc.
TWA’s proposal seeks to reinvent the billboard as a typology overall, replacing its static, image-based, and automobile-centric qualities with digitally-driven and public space-making approaches. 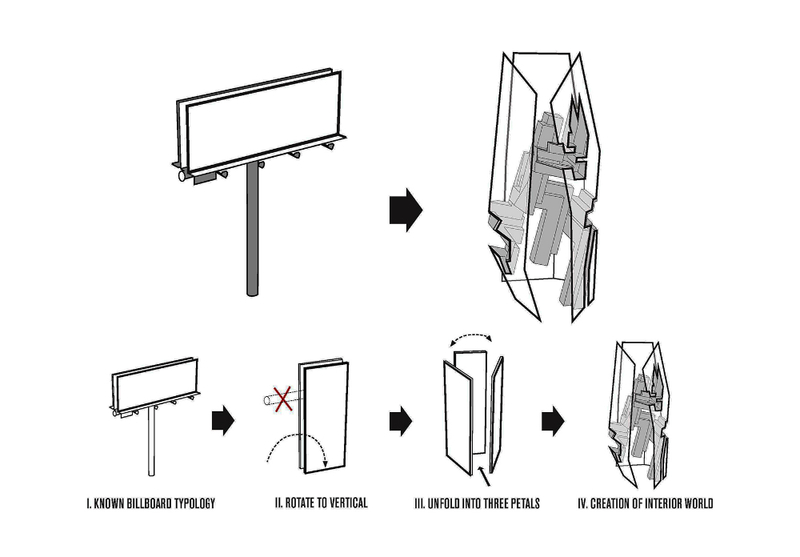 The scheme takes the typical double-sided billboard and rotates it 90-degrees so that the short edge of the sign rests on the ground. 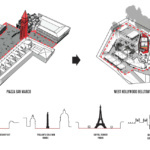 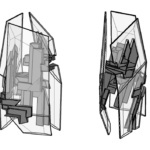 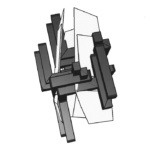 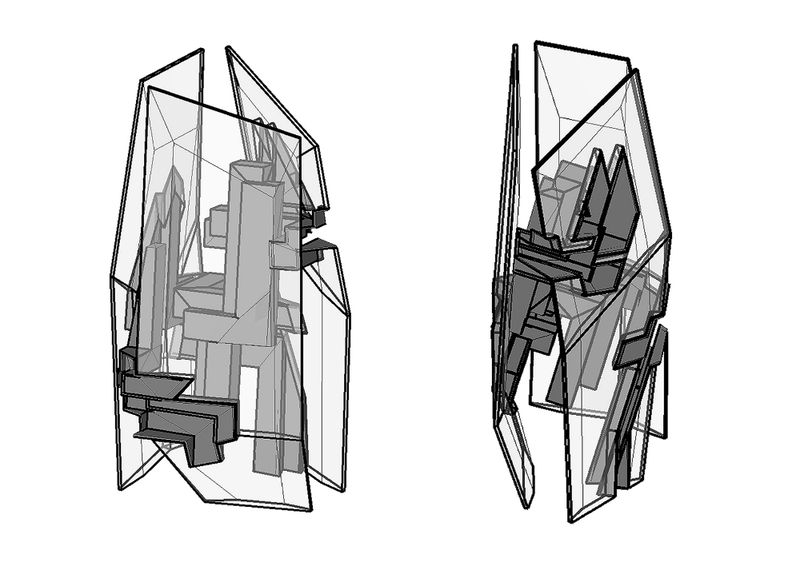 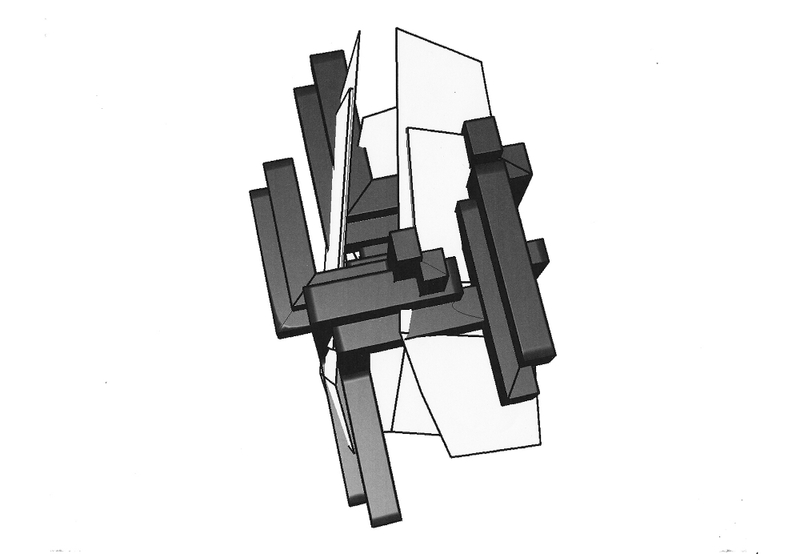 The two planes are then bent and folded into a configuration that allows for human occupation, with the whole assembly located in a public plaza.